The Lightning Thief. . Wallpaper and background images in the Percy Jackson & The Olympians boeken club tagged: percy jackson lightning thief. 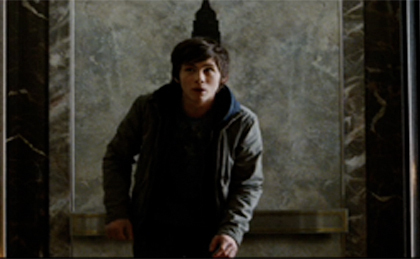 This Percy Jackson & The Olympians boeken Screencap contains straat, stad scène, stedelijke omgeving, stad straatbeeld, and stedelijke instellen. There might also be draaideur, revolver, portcullis, teken, poster, tekst, bord, and schoolbord.